Bhairava Ashtami, also known as Bhairavashtami, Bhairava Jayanti, Kala-Bhairava Ashtami and Kala-Bhairava Jayanti is a Hindu holy day commemorating the birthday of Bhairava (lit. "terrible"), a fearsome and wrathful manifestation of the god Shiva. It falls on the eighth lunar day (ashtami) in the fortnight of the waning moon (Krishna paksha) in the Hindu month of Kartik (per the South Indian Amavasyant calendar, every month ends with a new moon) or Margashirsha (per the North Indian Purnimant calendar, every month ends with a full moon). By both schemes, Bhairava Ashtami falls on the same day in November–December. The name Kalashtami is sometimes used to refer to this day, but might also refer to any ashtami in Krishna paksha, all of which are sacred days of Bhairava, who is also called also Dandapani (as holds a rod or Danda to punish sinners) and he rides a dog he is also known as Swaswa meaning "whose horse is a dog". Bhairava is a manifestation of Shiva's wrath. According to the legend narrated on the occasion, the Trimurti gods, Brahma, Vishnu and Shiva were talking in a serious mood as to who was superior of them all. In the heated debate, Shiva felt slighted by remarks made by Brahma and instructed his ganor Bhairava to cut of one of Brahma’s five heads. Bhairava followed Shiva’s orders and one head of Brahma was cut off and thus he became four headed. Instilled with fear, all others prayed to Shiva and Bhairava. Another slightly modified version is that when Brahma insulted Shiva, Bhairava (Kala-Bhairava) appeared from the angry Shiva's forehead and severed Brahma's head, leaving him with only four heads. The head of Brahma stuck to Bhairava's left palm due to the sin of killing Brahma, the most learned Brahmin – Brahmahatya or Brahminicide. To expiate the sin of brahmahatya, Bhairava had to perform the vow of a Kapali: wandering the world as a naked beggar with the skull of the slain as his begging bowl. Bhairava's sin is finally expiated when he reaches the holy city of Varanasi, where a temple dedicated to him still exists. An all-night vigil is observed on Bhairava Ashtami with prayers, worship and tales of Bhairava, Shiva and Parvati being told. In the midnight, an arati of Bhairava should be performed with conches, bells and drums. After taking a bath in the morning, devotees, especially Shiva-worshipping Shaivas offer libations and oblations to their dead ancestors. Then, Bhairava, Shiva, Shiva's consort Parvati and Bhairava's vahana (animal vehicle), the dog, is worshipped with flowers and sweets. Dogs are also offered milk, sweets, curds and other food as offerings. The day is considered holier if Bhairava Ashtami falls on a Sunday or a Tuesday, sacred weekdays dedicated to Bhairava.Bhairava is specifically worshipped for success, wealth, health and obstacle removal. A devotee is said to be freed of sin and the fear of death by observing Bhairava Ashtami. Bhairava Ashtami is observed in Bhairav Prasad Temple in Vaishno Devi hills in Kashmir. On this day, an image of Kala-Bhairava is made in gold or silver and immersed in a brass metal pot filled with water and worshipped with all scriptural prayers, as is done to Shiva. Then, the priests who do the puja are offered gifts. One who performs this fast attains all sorts of pleasures and prosperity. His all wishes get fulfilled. This fast was observed by Lord Ganesha, Vishnu, Yama, Moon, and Lord Kuber. By observing this fast Lord Vishnu got married to Laxmi. Kings became emperors. By observing this fast all sins are eradicated and one enjoys obstacle free life in this world and next world after death. Wear one black thread after worshipping Bhairava to abstain from the malefic impact of black magic. This fast is observed on the Krishnashtami of the month of Margsheersha. Keep fast on this day. Worship Kalbhairava on this day. In the middle of the night sing Aarti of Kaalbhairawa and offer Arghya to Kaalbhairawa. In the night listen Kaalbhairawa Vrata Katha and Shiva Katha and chant Bhajans. It would be more auspicious to worship black God. Dog also should be worshipped on this day. People offer milk and sweets to dog on this day. Sadesati is a period with many challenges the duration of which is 7 and half years. The period of Sade-sati starts when Saturn enters the zodiac sign immediately before the Moon sign of the native. The Sadesati will continue while Saturn transits over this sign and the next two signs, i.e. the birth sign and the sign after it. Saturn stays for 2.5 years in each sign and to cross these three signs it takes about 7.5 years thus the name Sadesati which literally means seven and a half. According to one school of astrological thought this is a troublesome time for the individual who is going through it however, as per another school of astrology the Sadesati is challenging but not as damaging as many astrologers claim rather many people achieve lot of success during the period of Sadesati. The impact of Sadesati is supposed to be felt differently by people of different moon signs. It is said that people of Moon sign Aquarius, Capricorn & Libra do not have any ill effects from Sadesati, while people of Moon sign Cancer feel the most impact. Generally those people in whose horoscope Saturn is Yogakaraka and occupies its sign or Navamsa of exaltation, Mooltrikona, or that of a friendly planet or own house in an auspicious house in the birth chart then the native gets good results during Sadesati. Saturn, the karaka for hard work, discipline, old age and authority, will show results based on how the individual has lived his/her life up till that point. If the person has been disciplined, and worked hard, this is the moment Saturn shows its rewards. If Saturn is ill-placed in bad houses, he may face challenges that reflect this bad placement. Sadesati's heaviest challenges during this time, and how the individual deals with it, set the tone for the next 22.5 years as Saturn starts to move around the twelve houses again. Vedic astrology also prescribes certain remedies and mantras that can be recited to please the lord Saturn and limit the effect of Saturn's Sadesati. Another related astrological transit of Saturn is the Dhaiyya (2.5 years), also known as Small Panoti (Small Trouble), and Kantakshani, or Ashtamshani. This transit of Saturn occurs when the Saturn is transiting through the 4th sign from the birth Moon sign (Kantak Shani), or from the 8th sign from the birth moon sign (Ashtamshani). Vedic astrology says that these two are hazardous periods, though not as much as the Sade-sati. But if there is a proper system then this period of sadesati will not affect any human being. Seva and Karma yoga – Look after people and give voluntary service to the poor and old. Urvarukamiva Bandhanaan Mrithyor Muksheeyamaamritaat "
You may also get Maha Mrityunjaya Puja/Rudrabhishek Puja done to remove the severity of Shani Dosha. Nothing is complete without the prayer for Lord Shiva. Shiva when pleased through prayers can protect you from Graha Dosha. Lord Saturn was a devotee of Lord Shiva. If possible visit Shiva Temple on Monday and offer Bel patra. Give water to shivling and peepal tree daily. Light a lamp of mustard oil in front of Peepal tree in the evening on Saturday. Serve the poor. Donate black articles of use to poor people on Saturday and offer food to them. Wear 7, 11 and 14 faced Rudrakshas. Wear 7 faced Rudraksha rosary and use it to chant "Om Shang Shaneshcharaay Namah" mantra 108 times daily. Fix a black horse shoe on the entrance of your house. Put a piece of iron or iron coin into flowing water (River / Sea) on Saturday and prey. Wear a clean iron ring. See your face in mustard oil, put some coins in it and donate in a temple on Saturday. Take a black piece of cloth and tie 12 almonds and keep in iron pot. Now place this iron pot in the darkest corner of your house, where the least sunlight reaches. Visiting Navagraha temple and doing shani pooja on Saturday is one of the most commonly suggested remedy during Shani Dasha.If possible visit the following famous and powerful shani temples : Shani Shingnapur ( in Maharashtra for North India), Sabarimala Ayyappa Temple ( in Kerala for South India ). Another effective method of pleasing Shani dev is reading the Dashrath Krit Shani Stotram. Legend goes that when King Dashrath was affected by Shanidev, he read out praise phrases to Shani dev who was happy and granted his wishes. Read the Dashrath Krit Shani stotra on a Saturday. Chant hanuman chalisa on Tuesday. Hanuman is supposed to be “Chiran jeevi” or the one with infinite life on earth.While he was on his way to Lanka to find Seetha Devi, he has seen “Navagrahas” being captured and tied together by Ravana. Navagrahas knew that only Anjaneya has the power to release them from the clutches of evil king Ravana.They worshipped Hanuman and requested him to free them from lanka. Hanuman immediately realised the presence of Shani bhagavan amongst the Navagrahas and asked him “If i release you, you will look at me and i will be under your spell for 7.5 years”. For this Shani replied that he will not do that and even spare those who worship Anjaneya from the ill effects of shani dasha. So recite “Hanuman Chalisa” on Tuesday,Thursday & Saturday and if not possible then atleast on Tuesday. Visit Hanuman temple on every Saturday during your Shani Dasha period. Do Sunderkaand Path whenever you find yourself in a bigger problem. During Shani Dasha you will be tempted to do many things which may look harmless in the beginning, but with your bad Shani positioning it can become serious issues. So during this period try to avoid the following: Avoid being a witness in any legal agreements, Participating in Adventure Sports (like Bungie Jumping , Water Rafting , Motor bike/ Car Race etc.) , Arguments at work place or during driving (Road rage), Non punctuality at work place, Carelessness , Travelling alone (especially at night time) etc. During this period indulge / invest only in business or activities which will start giving returns after long term (7-8 years). Starting construction of a new house is also advised during this period. Avoid overenthusiastic attitude in terms of action, aggression, decision making and investment. Do not be rude to your maids, servants, vendors, hawkers, cleaners, low grade workers. Pay their dues in time and win the love of Saturn. If you are an unmarried girl or a boy looking for a good life-partner, or you are a lover who wants to have your beloved as the life-partner, then blow the bubbles of the soap on the Full Moon night towards the moon. In Feng-shui, the moon is said to be the god of marriage. On a Full Moon night take a solution of soap and water with you and go up on the terrace or in a garden. Blow up big bubbles of this soap solution towards the moon. Try to see the image of your lover in every bubble and imagine that both of you are getting married. This is a well-tried experiment which will definitely fulfill your desire for marriage. All you have to do is to repeat this experiment on every Full Moon' night till your aim is fulfilled. Hakik(Agate) is a semiprecious stone. Agate rosary is used for getting the blessings of Lord Shiva. By wearing it one gets mental peace. 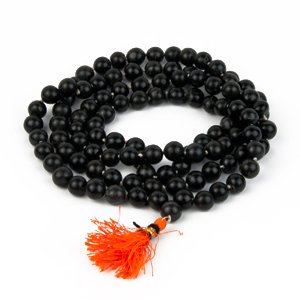 It improve concentration, promotes good will and helps in eliminating bad luck. It overcomes fear and loneliness. This rosary is used for protection, people wear it for courage. Students wear it for getting success in competitive examinations. It is excellent during menopause and helpful in breast tumor. Agate protects new life and therefore Agate Rosary can be worn during pregnancy.